With a global flower network, our well established overseas flower delivery company can offer international flower deliveries by hand through one of the best flower network in Latvia and also internationally. 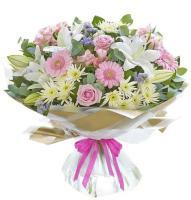 The ultimate aim of our Latvia florists is to provide an excellent, quality service to both local and customer overseas. 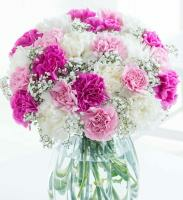 We guarantee flower deliveries in Latvia and the surrounding area. 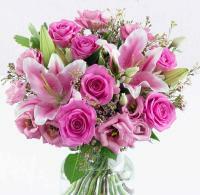 Customer satisfaction is always the prime concern for Latvia florists. Our Latvia flower shops provide a wide variety of flower gifts ranging from roses, assorted bouquets, attractive flower arrangements, countless flower designs, indoor plants all put together professionally by our team of skilled florists in Latvia.In order not to be disappointed we recommend you to purchase your flower two days prior Christmas, Mother's day, Easter and Valentines day. 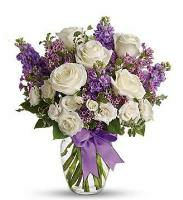 When sending flowers to Latvia, one must provide a telephone number and where necessary a mobile number of the recipient in Latvia. 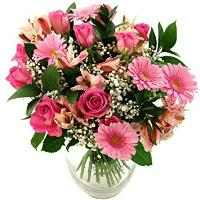 Flower Delivery in Latvia - Our florists in Latvia will not be able to make flower deliveries in Latvia on legal holidays, Saturday afternoons and Sundays. Also Latvia florists can deliver flowers to all major towns in Latvia. 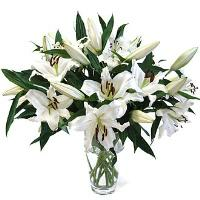 You can know also send flowers to any Hospitals, Hotels and Ships in Latvia. 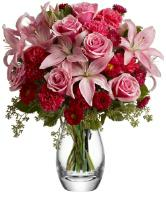 Our florists in Latvia suggest you include the recipient's mobile number and the room number in the flower order form. 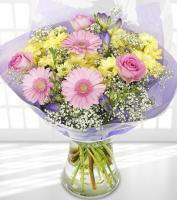 Also flower deliveries to hospitals, hotels and ships are only guaranteed to the reception. 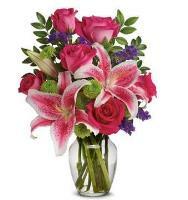 A local telephone number is required for all flower orders to Latvia. 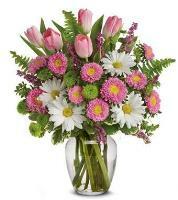 Mothers Day Flower Delivery in Latvia - The date of Mothers Day in Latvia is always the second Sunday in May. 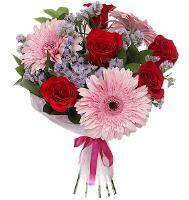 Please make your Mothers Day flower order at least 2 days before so that your mum in Latvia will receive the flowers without any problems. 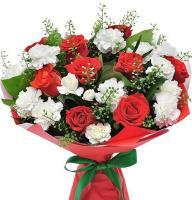 Valentines Day Flower Delivery in Latvia - Roses orders are recommended to be sent in odd numbers as even numbers are considered as bad luck or delivered for sympathy and funeral orders in Latvia. 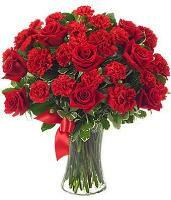 Send red roses to Latvia on Valentines Day! 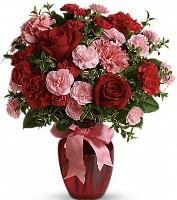 If you want to send Valentines Day flowers to Latvia please make sure that you order the flowers at least 2 days before. Christmas Flower Delivery in Latvia - Would you like to send Christmas flowers to Latvia on this festive season? Then you've come to the right flower shop. Our international worldwide flower shop provides you a wide selection of Christmas flowers from which you can choose and send to Latvia. Make your Christmas flower order 3 days prior so that our local Latvian florists can design your flowers and hand deliver your flowers without any trouble. Last guarantee date for Christmas, Valentines Day, International Woman's Day (8th March) and Mothers Day is 2 or 3 days before.